KU played another tough opponent Sunday in North Carolina. This was a special game for KU because the old KU coach Roy Williams now coaches at North Carolina. Kansas caught an extremely lucky break before the game when Kendall Marshall was ruled out of the game because of his broken wrist. Kendall Marshall is the best player on North Carolina and he is what makes North Carolina such a dangerous team. Marshall is the best true point guard in the country. His skills set up the athletes for Roy Williams. The first half of the game for KU and North Carolina was a NBA game. There was no defense and both teams offenses were dominant. Neither team could not miss a shot and North Carolina’s offense looked as if Kendall Marshall was never missing. KU and North Carolina were neck and neck at halftime with the score being tied at 47. However, during the second half of the game seemed to change. KU started playing better perimeter defense and Coach Self switched to a triangle and two defense which seemed to frustrate the North Carolina offense. Kendall Marshall loss really showed in the second half because back up point guard Stillman white was a non- factor offensively and could not get the North Carolina transition game going. Also, Travis Releford played great defense in the second half against one of the best swingmen in the game, Harrison Barnes, North Carolina’s most potent scorer. Kansas’ suffocating defense and potent offense helped them to pull away at the end of the game finishing on a 12-0 run winning 80-67. KU’s offense played really well with all the five starters scoring in double figures. Tyshawn Taylor lead all players with 22 points. Thomas Robinson also finished with 18 points and 9 rebounds. Kevin Young played a great game as well by filling his role off the bench. Kevin may have only played 18 minutes, but he had eight rebounds in that span. The game couldn’t have gone any better if you are a Jayhawk fan because they locked down North Carolina potent offense by allowing them to only score only 20 points in the second half. However, KU defense was non-existent in the first half which should be a major concern for Bill Self. For KU to continue in the NCAA tournament, they will need to put together a full game of balanced scoring and great defense. 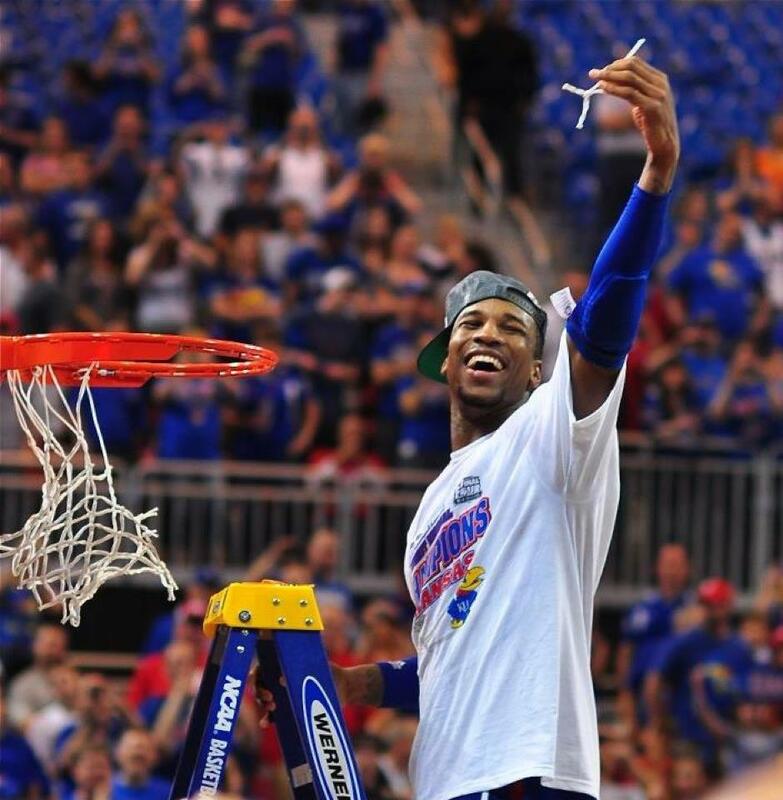 If KU can manage to do that, they should give themselves an excellent chance to play for a National Championship. In the Final Four, the Jayhawks will be playing the Ohio State University. Kansas and Ohio State played earlier this year with KU winning the game 78-67. However, Ohio State was missing their most important player, Jared Sullinger. KU matches up pretty well against Ohio State because Jeff Withey can limit Jared Sullinger inside. Bill Self should be most worried about the offensive minded, Deshaun Thomas, their power forward. Deshaun Thomas is a mobile 4 who can play around the 3 point line and bang in the inside. Thomas can take Thomas Robinson out of his comfort and fluster him like Robbie Hummel did in the first half. The key to the game for KU is how the guards play against Aaron Craft. Tyshawn Taylor will have a tough match up with Aaron Craft who is a great on ball defender and could force Tyshawn Taylor to make more turnovers then usual. Travis Releford will be guarding William Buford their best guard offensively who averages 14 points a game. KU should be able to win this game because they will be able to match-up and neutralize the big men of Ohio State. This entry was posted in Basketball, Basketball, Home, Midwest, National and tagged Bill Self, KU basketball, Thomas Robinson, Tyshawn Taylor.